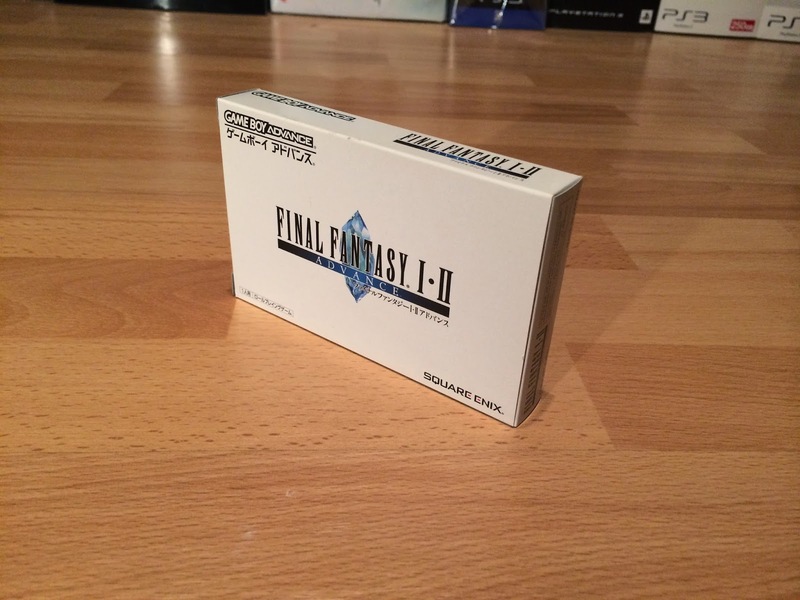 Final Fantasy I & II is a compilation with remake of the first and the second entry in the series. 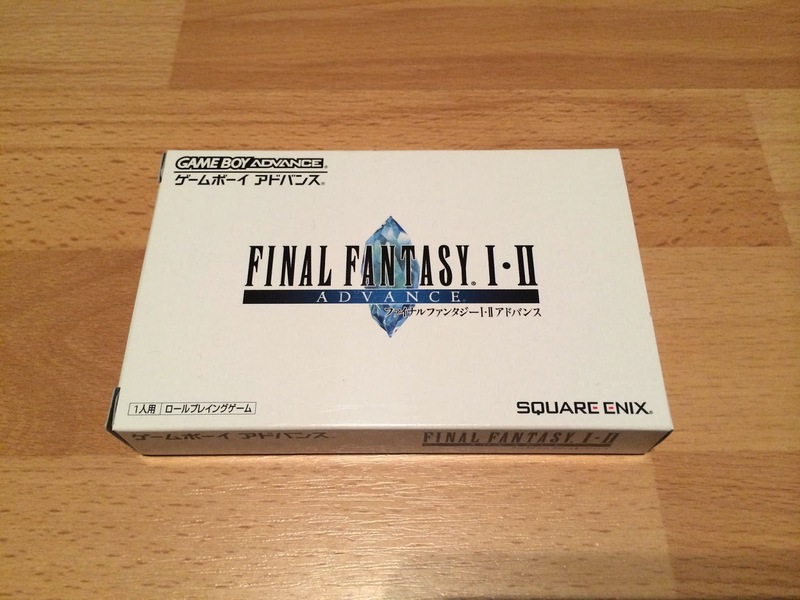 It was released on July 29, 2004 (FF X-2 was released on 2003). 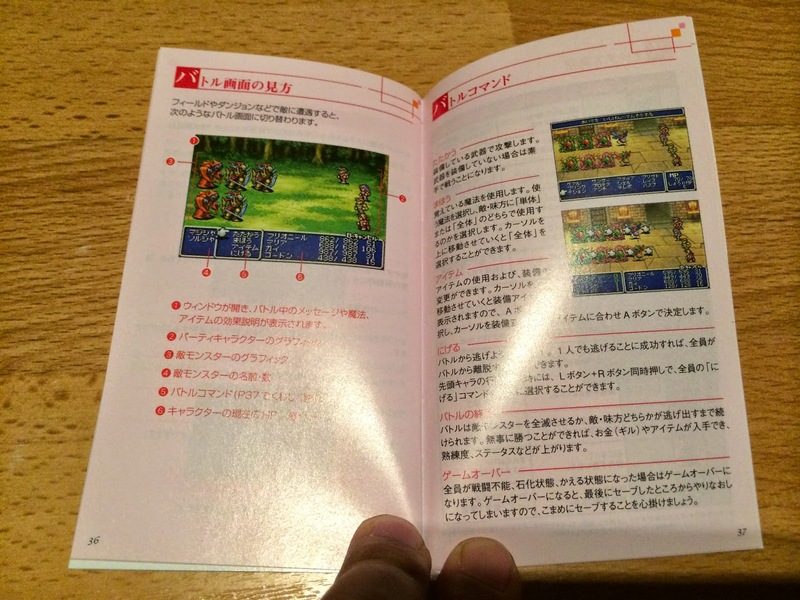 Technically, it’s same versions as for WonderSwan Color. 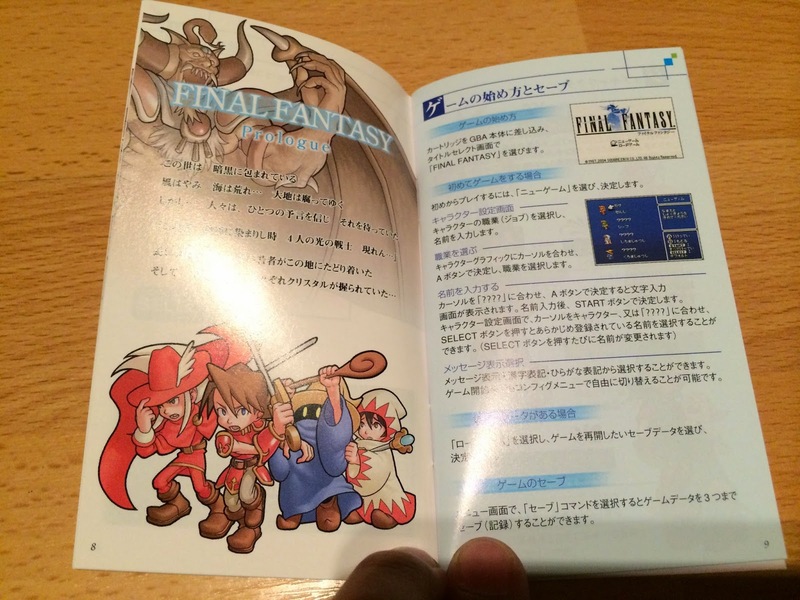 There is some changes on the games, but the most significant is four extra dungeons for FF I and one for FF II. 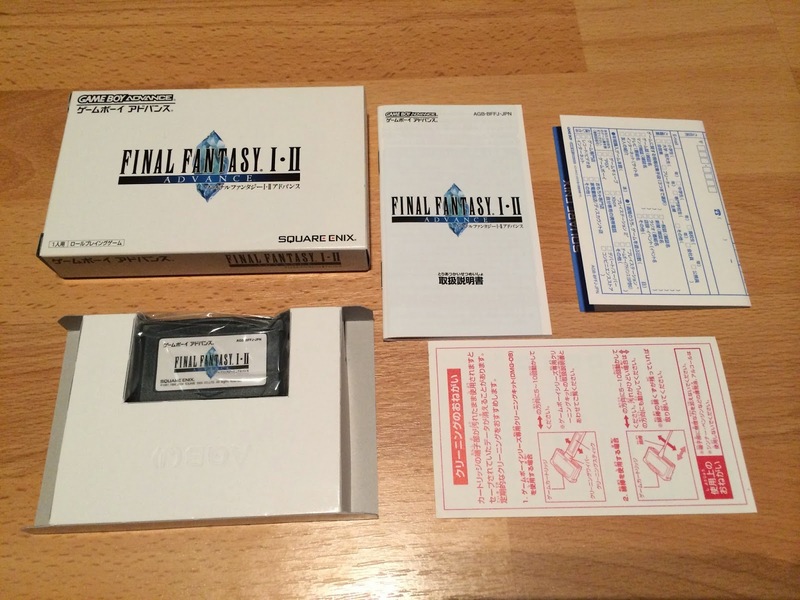 I finished Final Fantasy I for the first time on this edition ! 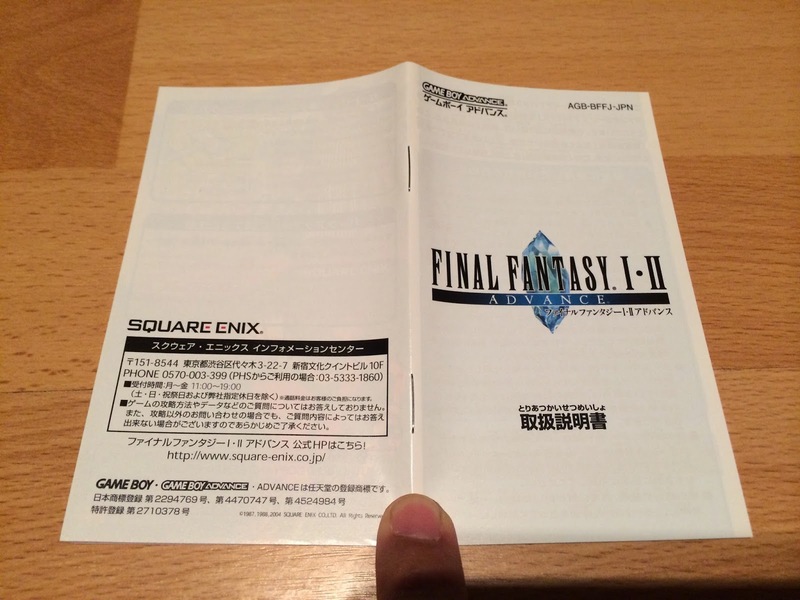 Front and back cover. 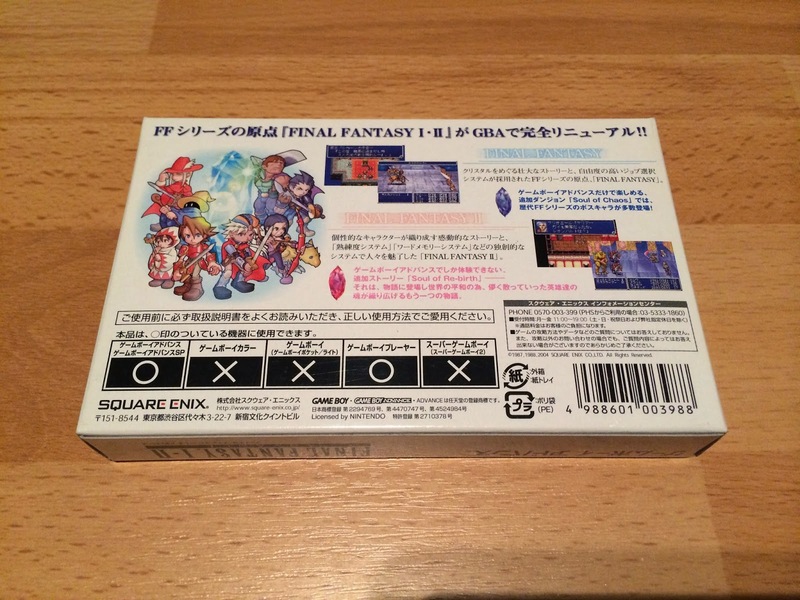 The box is really tiny ! 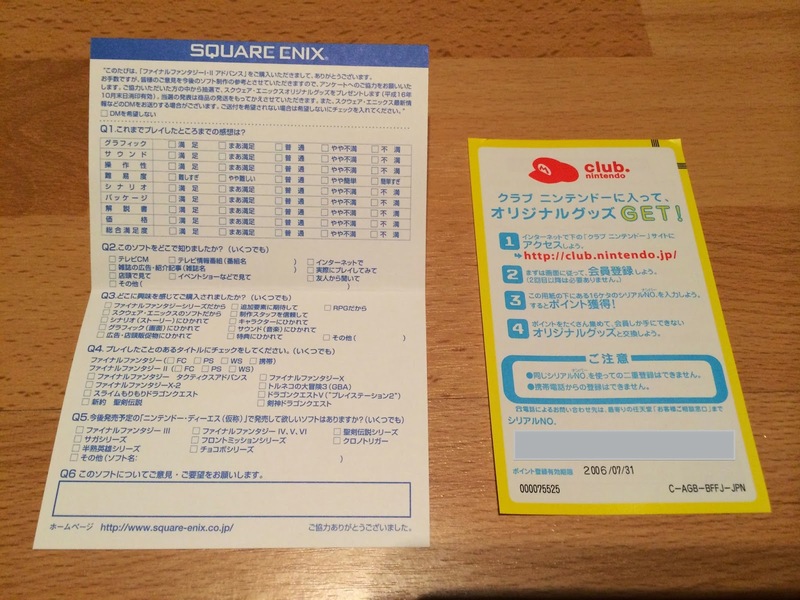 And there is a Square Enix logo ! 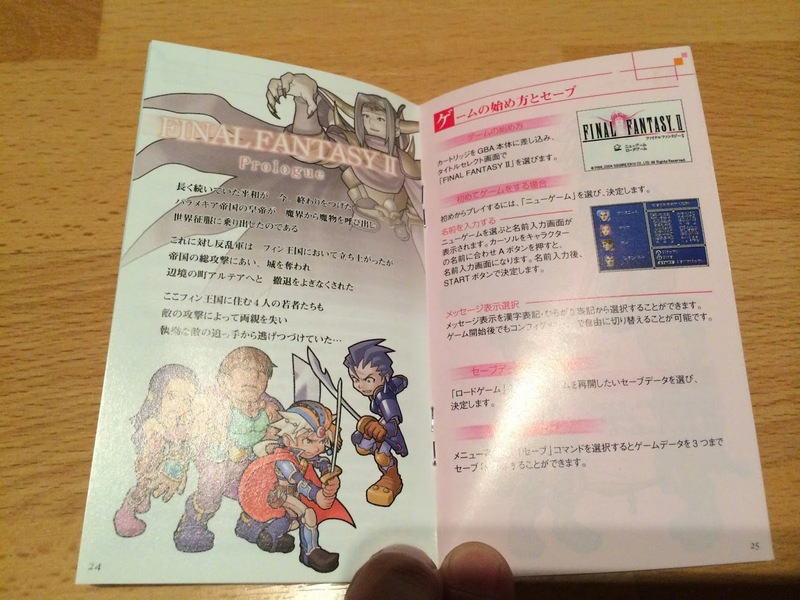 Some Square Enix and Nintendo papers. 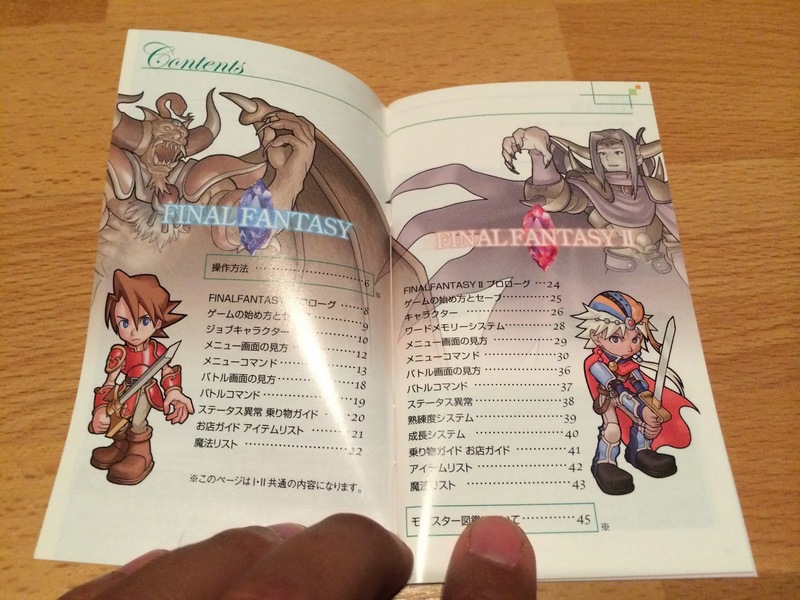 New artwoks for both games ! 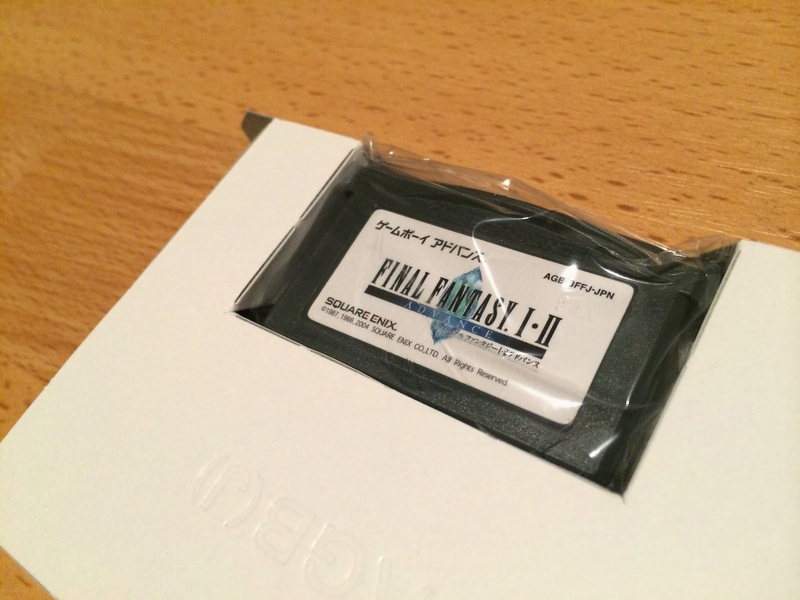 More Final Fantasy for Gameboy Advance really soon !